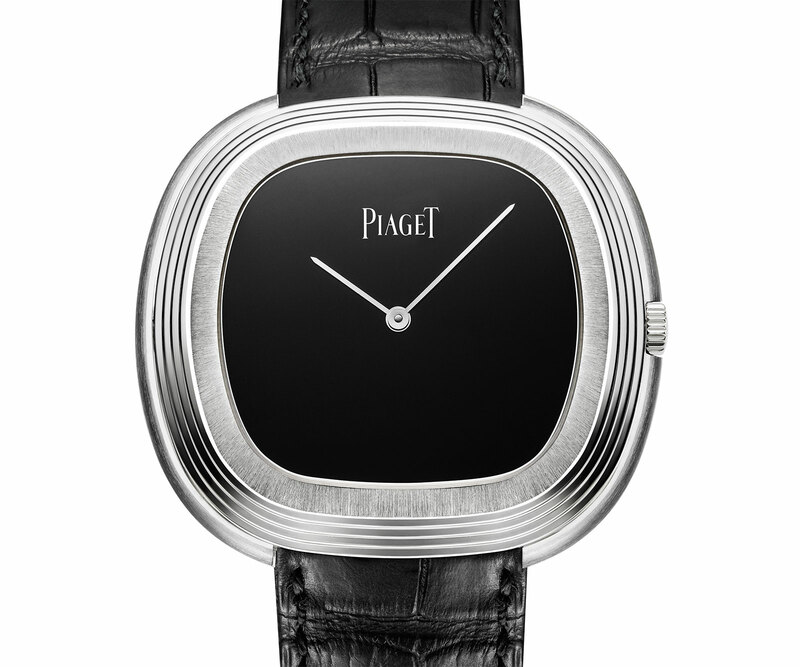 Piaget has recreated the look of its chunky Beta 21 wristwatch of the seventies with the new Black Tie Vintage Inspiration that takes the same shape but with an extra-slim, mechanical movement. Andy Warhol famously owned a Piaget wristwatch with the Beta 21 quartz movement, inside a stepped case in a shape typical of the seventies. 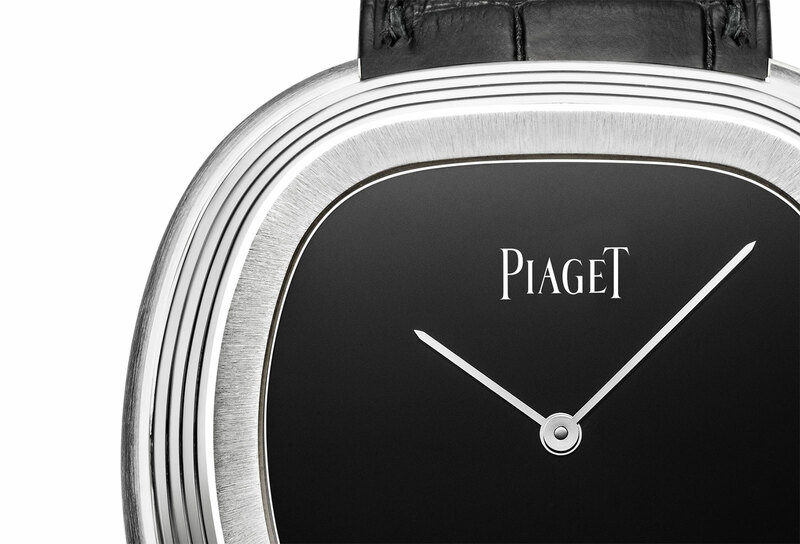 Piaget has remade that distinctive ovoid case with stepped edges as the limited edition Black Tie Vintage Inspiration that will make its official debut at SIHH 2015. The case is white gold, with a finely stepped bezel that builds upwards to a flat, radially brushed bezel. Similarly brushed is the base of the case band, which accommodates the crown in a recess so as not to spoil the lines of the case. Although it is a chunky timepiece, measuring 45 mm wide and 40 mm long, the case work is eminently detailed and finely executed. Despite the recognisable seventies form, the Black Tie Vintage Inspiration is a gentleman’s formal dress watch. It only has hour and minutes hands, set against a jet black onyx stone dial. Inside is the automatic calibre 534P movement that gives the watch the slimness needed for a dress watch. Limited to just 28 pieces, the Piaget Black Tie Vintage Inspiration is priced at $46,000 Singapore dollars, equivalent to about US$40,000. German independent watchmaker Christian Klings recently completed the "Open Version", a time-only wristwatch with a skilfully open-worked movement and an unusual silk fabric dial.